Looking for How to Freeze Rhubarb, Easily! With Step-by-step Directions, Photos and Recipes in 2019? Scroll down this page and follow the links. And if you bring home some fruit or vegetables and want to can, freeze, make jam, salsa or pickles, see this page for simple, reliable, illustrated canning, freezing or preserving directions. There are plenty of other related resources, click on the resources dropdown above. If you have questions or feedback, please let me know! If you like rhubarb in the winter for cobblers, pies or just cooked, stewed Rhubarb in a bowl; just imagine how good it would taste if you had picked fresh or bought rhubarb from a farm stand and then quickly froze it at home! It is also one of the simplest ways to put up a fruit for the winter. Here's how to do it, complete instructions in easy steps and completely illustrated. In the winter when you pull them from the freezer, the rhubarb will taste MUCH better than anything you've ever had from a store, and by selecting the right fruit, it will use less sugar than store-bought frozen rhubarb. 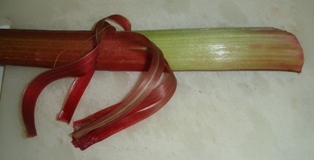 Rhubarb can be packed in very light, light or medium sugar syrup. They can also be packed in water, apple juice or white grape juice. Prepared this way, the frozen fruit will have a freezer life of about 12 months. If you would like some rhubarb recipes, see my page on how to make rhubarb-strawberry jam or this page on rhubarb-strawberry pie. It is really SO easy! If you would rather can the rhubarb, see this page. Ziploc freezer bags, quart size or a vacuum food sealer and bags for it. The most important step! Choose firm, tender, well-colored stalks with good flavor and few fibers. The color should be appropriate for the variety of rhubarb: some should be all red when they are ripe, others are still largely green. If you don't know, ask the farmer or grocery. You can pick your own, or buy them at at farm market or the grocery store. For very large quantities (more than a few bushels), you'll find that real* farmer's markets, like the Farmer's Market in Forest Park, Georgia have them at the best prices. You can freeze any quantity of rhubarb. * - not the cutesy, fake farmer's markets that are just warehouse grocery stores that call themselves farmer's markets. I'm sure you can figure out how to wash the rhubarb in plain cold or lukewarm water.> Just rub the dirt of with your fingers, under running water. Rhubarb varieties differ - if the type you have has a tough outer skin, peel it off. You can tell if it is tough if it peels off easily as a thin skin. You'll then need to remove the ends of the rhubarb - the tough part that connects to the plant (as show at left) and then dice the stalks into 1/2 inch pieces. Blanching (Heating rhubarb in boiling water) for 1 minute and then cooling promptly in cold ice water helps retain color and flavor, especially if you will be storing it for many months. If you goal is to use the rhubarb within a couple of months, you can skip this step. But if you are freezing it in the Spring and think you will be using it in the winter, put the cut up rhubarb into a large pot of fully boiling for 1 minute, then pour it out into a colander or sieve and immerse in cold water for several minutes. Then drain and move on to the next step! Step 6 - Dry Pack or in liquid (Wet Pack)? You can pack rhubarb dry (which is best for short term storage, up to 3 or 4 months) or wet, in a sugar, honey or fruit juice solution (which works better for longer storage). If you are freezing to use in a pie later, dry pack is probably best. If you choose a dry pack, just skip to step 8. Rhubarb can be packed in a solution of water and sugar or fruit juice. It's up to you which to use. Sugar is added to improve flavor, help stabilize color, and retain the shape of the fruit. You only need enough solution to cover the rhubarb; about 1 cup per quart. It is not added as a preservative; but the solution does prevent drying, freezer burn and oxidation (browning). Peach, white grape or apple juice works great and is a natural alternative to using processed sugar! Fruit juice syrup requires no preparation. To prepare sugar and Stevia (in a prepared form like Truvia, it measures same as sugar; if you use another form, you'll need do your own conversion) - or Splenda, if you prefer, syrups, while heating the water in a pot on the stove (or microwave), add sugar slowly, stirring constantly to dissolve. Once it is dissolved remove it from the heat. After preparing the liquid syrup, let it cool before mixing it with the rhubarb! In a large bowl, combine the rhubarb and sweetener solution. Mix completely. 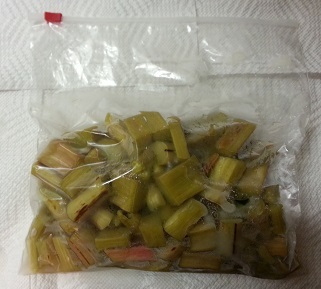 Ladle the rhubarb and solution into the freezer bags. 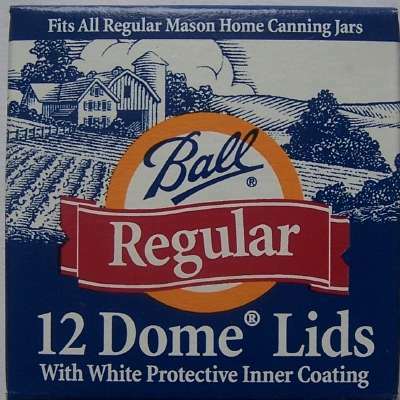 If you are using ziploc bags, squeeze out any air bubbles and seal them. put them in the freezer on the coldest shelf. Since rhubarb, nectarines, plums, figs, and other soft fruit will be covered in a liquid, it is quite easy to remove all the air with a ziploc bag! Be sure to use the "freezer ziplocs", not the regular ones. The freezer ones are thicker and will be much less like to break, split or allow freezer burn. TIP: If you don't own a vacuum food sealer to freeze foods, place food in a Ziploc bags, zip the top shut but leave enough space to insert the tip of a soda straw. When straw is in place, remove air by sucking the air out. To remove straw, press straw closed where inserted and finish pressing the bag closed as you remove straw. The next day, take the bags out of the freezer, seal them and pop them back in the freezer! 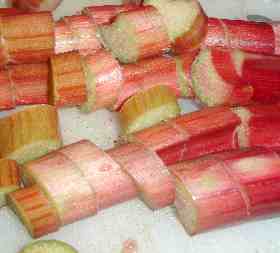 If any of the frozen rhubarb are exposed on the surface, just pour a little more sugar syrup (or fruit juice, etc.) to cover them and put it back in the freezer. When that freezes, you can seal them. Rhubarb in foodsaver bags standing upright, unsealed, in the freezer; to be frozen. Rhubarb in a ziploc bag with the air excluded, ready for the freezer. 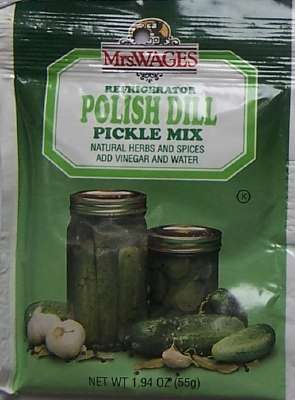 To use them, just set them in the fridge overnight, or on the counter for a couple of hours. I wouldn't recommend the microwave unless you are planning to cook with them! If fruit is not covered by liquid it may darken or get freezer burn during storage (but does not necessarily mean it is spoiled, as all fruits will darken somewhat). To avoid this, remove all air bubbles and while the bags are freezing, stand them so that the fruit is entirely covered by liquid. Q. Can I freeze rhubarb dry without any sweetener? A. Yes. You might get some freezer burn, so you might want to add a little juice (peach or white grape) to fill the air spaces. Or pack them dry using a vacuum food sealer which would eliminate the need to add juice and still avoid most freezer burn. This is the same type of standard canner that my grandmother used to make everything from rhubarb to jams and jellies to tomato and spaghetti sauce. This complete kit includes everything you need: the canner, jar rack, jar grabber tongs, lid lifting wand, a plastic funnel, labels, bubble freer, and the bible of canning, the Ball Blue Book. You'll never need anything else except more jars and lids! See this page for more information, reviews, descriptions of other strainers and supplies or to order! With the Deluxe Food Strainer/Sauce Maker, you can make creamy peach sauce and smooth tomato sauce without having to peel and core! This multi-use strainer forces food through a stainless steel screen, automatically separating the juice and pulp from the seeds, shins, and stems. Perfect for purees, creamed soups, baby foods, pie filling, juices, jams, and more. Save time, effort, and money by preparing your own tasty sauces to be used immediately or boiled for future use. Do bushels with ease and in a fraction of the time. Includes the tomato/peach screen with easy twist on design and instruction/recipe booklet.